Students or Employees may present any valid photo ID at any SAU campus or off-site location and they will provided the SAU ID at that time. SAU ID number is a six (6) digit number. We CANNOT give out this number over the phone or via email to students, due to the Family Educational Rights and Privacy Act (FERPA). Additionally, your ID can be found by looking on a statement from the Business Office or on your SAU ID Card. SAU ID Numbers can be provided over the phone by calling the Help Desk at 517-750-1234. Additional personal identification questions will be asked to confirm that the caller is truly the person for whom the SAU ID number is being requested. Check out this knowledge base article I found in the Spring Arbor University knowledge base. 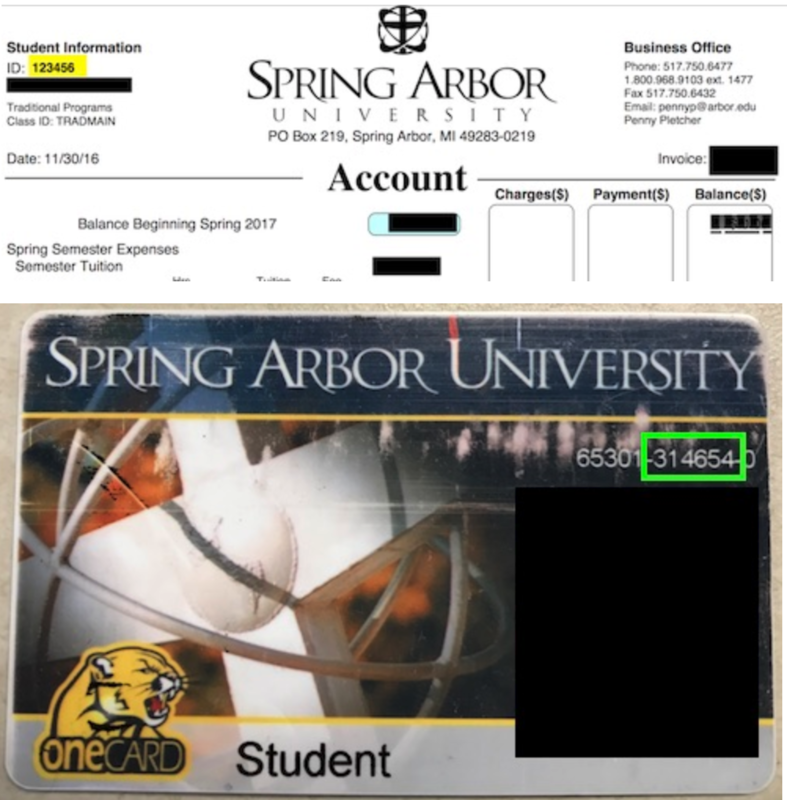 https://serviceportal.arbor.edu/TDClient/KB/ArticleDet?ID=31309 I forgot my SAU ID Number. Can you give it to me?